Turtle Island Reads (TIR) puts a spotlight on Indigenous writing by connecting authors and their writing with all readers but most especially with secondary school students. The objective of Turtle Island Reads is to spark conversation about Indigenous identity and the Indigenous-settler relationship by drawing out themes from the books. 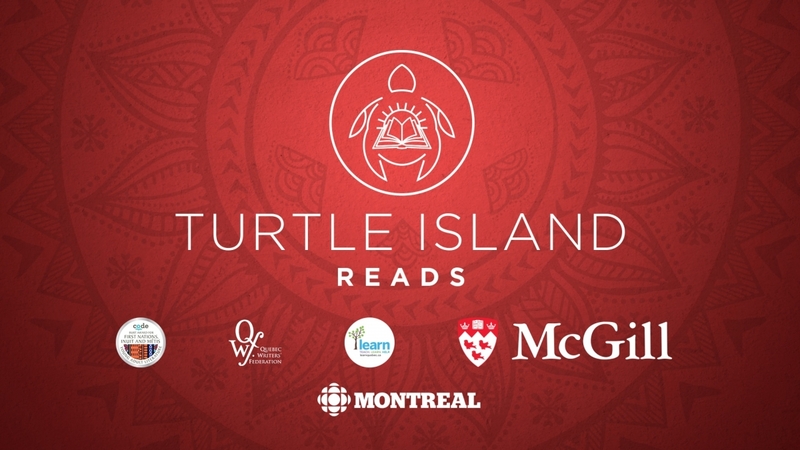 Turtle Island Reads 2018 will be introduced with two events, an Indigenous Storytelling Round Table and the Launch of Turtle Island Reads on Wednesday September 19th during McGill’s Indigenous Awareness Week in the Thomson House Ballroom, 3rd Floor, 3650 McTavish St, (above Dr Penfield Ave). “The Turtle Island Reads book launch is always a fun and exciting event. This year, this lively eventwill feature our three book advocates, as well as celebrity authors, Indigenous artists, film-makers, teachers and youth and members of McGill's wider community in Tio'tia:ke / Montreal and the Kanien’kehá:katerritory of Kahnawá:ke," states Lori Beavis, this year’s Turtle Island Reads co-ordinator in McGill’s Faculty of Education and through the Provost’s Office. The first event of the afternoon will run from 4:30 to 5:30 with an Indigenous Story-telling Round Table with invited participants including educator- film maker (Adrift) Tharionente Barnes (Kanien'kéha of Kahnawá:ke), journalist Jessica Deer (Kanien'kéha of Kahnawá:ke) from the CBC Montreal Indigenous Unit, along with author Cherie Dimaline (Métis) author of The Marrow Thieves and Rosa Washee (T’licho Dene) will represent Richard Van Camp and Monique Gray Smith’s book The Journey Forward: Two Novellas on Reconciliation. We also expect other authors and storytellers to join us for the Round Table and the following Launch event. The Launch of Turtle Island Reads 2018 will begin at 6pm with opening words from Kanien'kéha elder Amelia McGregor and music from the all-women’s song and drumming group, Odaya. Odaya is currently composed of four women of mixed Indigenous heritage: Émilie Monnet (Anishinabe, French), Dayna Danger (Metis, Ojibway, Polish), Nahka Bertrand (Dene, Québecoise), and Anik Sioui (Wendat, Anishinabe, Franco-Canadienne) who have learned and perform traditional songs from their own cultures, as well as writing and performing both their own traditionally-inspired songs and more experimental and improvisational work. Again this year, TIR takes its inspiration from “Canada Reads”, with the difference that Indigenous celebrities champion books to select the best Indigenous Young Adult book of the year. CBC Montreal radio personality Nantali Ondongo will host the evening and she will present the three Turtle Island Reads 2018 book advocates, Kanien'kéha film-maker and director Tracey Deer, visual artist Dayna Danger, Inuit actress and singer Lucy Tulugarjuk. The three advocates will champion their chosen book and tell the audience why Indigenous literature is personally important and why everyone, Indigenous and non-Indigenous needs to read these and other books. New to Turtle Island Reads this year, we have selected three schools in Quebec have been selected to champion one of the books. The students and teacher from these three classrooms will work with the advocates, by throwing out a ‘lifeline”, to select the “best book” during the live public event in April, 2019. The three classes will be announced during the Launch of Turtle Island Reads on September 19th. Additionally, the selected schools and every English-language and Indigenous school in the province of Quebec, will receive copies of each of the three championed books for their libraries. Also during the Launch of Turtle Island Reads 2018 CODE, a literacy NGO, will announce the short-list for The CODE Burt Award for First Nations, Inuit, and Métis Young Adult Literature 2018. The Burt Award is a Canadian literary award and readership initiative that recognizes excellence in Indigenous-authored literature for young adults (ages 12-18). The objective of the prize is to champion literacy, build language skills and foster the love and habit of reading by ensuring that young people across Canada have access to high quality, culturally-relevant and engaging reading materials. 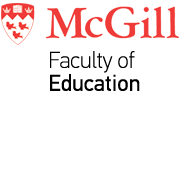 McGill University’s Faculty of Education, Provost’s Office and SEDE are thrilled to be working with Turtle Island Reads, and the partnering organizations of CODE, CBC Montreal, The Quebec Writers Federation, along with members of the Kahnawake Mohawk Community, CURIO and LEARN. The evening will end with author readings of some of the books and Good Minds Books of Six Nations Territory will have a richly laden book table with many of the books discussed at both the Round Table and at the Launch of Turtle Island Reads 2018, and previous Turtle Island Reads and others available for purchase.